The only thing I notice that slows down IE is when I do not clear out Temporary Internet Files, Browsing History and Cookies after a while. I also find errors begin to creep into web pages I visit frequently that have Java Script on them. For some reason the scripts fail to run properly and cause the pages not to work properly. For example, a Submit button on an online form will not work. To improve the performance of Internet Explorer I simply delete cookies, history and temporary Internet Files and restart my web browser. The only web browser I use in addition to Internet Explorer is Mozilla Firefox. Well actually WaterFox. It is like Firefox but has lots of tweaks so it runs at peak performance. WaterFox looks the same as FireFox and in my experience it copes a lot better than when you have many tabs open. Thank You very much Adrian for your contribution. I agree it is good practice to clear out your Temporary Internet Files once in a while as performance can be hit and errors can start to creep into your web browsing experience. As I explain on the Internet Explorer Slow page, Temporary Internet Files is a folder on your computer where all of the text, images and other things you see on a web page is stored. 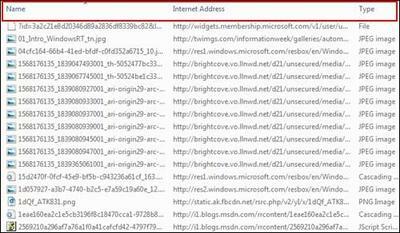 Your computer loads these local files into your web browser when you visit the web site again, so your browsing experience is quicker. Internet Explorer is set up so it checks the web site you want to visit in case any of the text, images etc. has been updated. If they have your web browser will download these files to your computer. 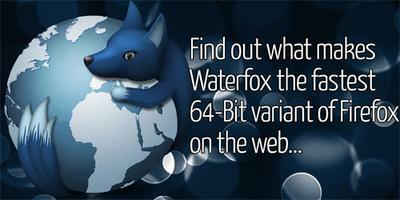 WaterFox is an optimised FireFox web browser for 64-bit computers where several settings on the Autoconfig file have been changed. Performance definitely improves with these changes, but also increase the risk of errors occurring when web browsing. Join in and write your own page! It's easy to do. How? Simply click here to return to Internet Explorer Slow.